What does it mean to be a voluntaryist? How does voluntaryism differ from little ‘l’ libertarianism and the big ‘L’ Libertarian Party? 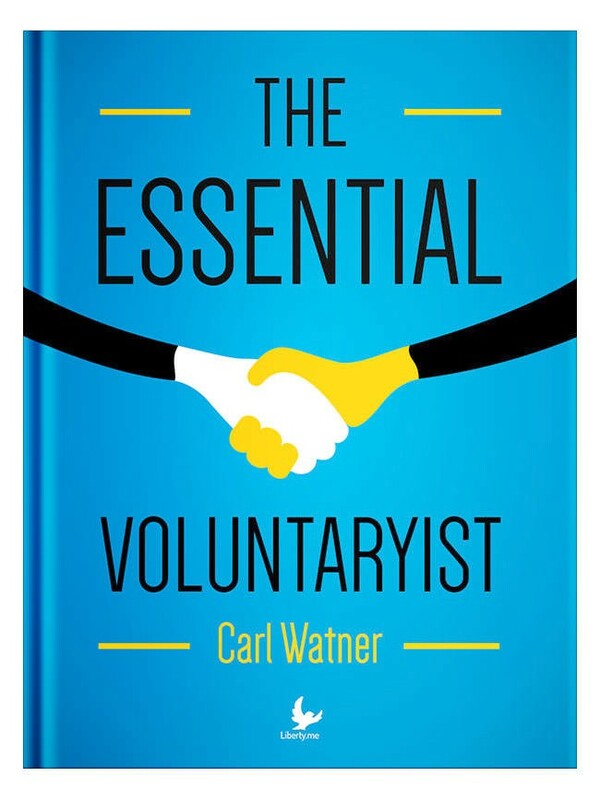 You will find the answer to these and many other questions in Carl Watner’s anthology of essays comprising The Essential Voluntaryist. Taken from the Voluntaryist newsletter, which he has published for over thirty years, Watner discusses everything from “the major crimes of the United States government” to “marriage, and the family.” Other topics include money, treason, taxes, education, prison slavery, government identification, medicine, American history, and societal defense, all viewed from a unique and consistent voluntaryist perspective. Voluntaryists are advocates of non-political, non-violent strategies to achieve a free society. We reject electoral politics, in theory and in practice, as incompatible with libertarian principles. Governments must cloak their actions in an aura of moral legitimacy in order to sustain their power, and political methods invariably strengthen that legitimacy. Voluntaryists seek instead to delegitimize the State through education, and we advocate withdrawal of the cooperation and tacit consent on which State power ultimately depends. Liberty.me U online class with Carl Watner; June 27 at 8:00 pm EST. “Hopefully, if someone in the future finds copies of The Voluntaryist newsletter or the anthology that I am proposing to publish they will help to re-kindle, re-discover, or elaborate the ideal of a totally free market society. One doesn’t need to be a pessimist to see that those ideas might one day disappear. Even in our own time, only a small part of the population embraces libertarian ideas; and only a small number of libertarians would consider themselves voluntaryists—people who reject voting and the legitimacy of the State. Even the individualism of several centuries of American history is in danger of being obliterated by State propaganda, With luck, The Voluntaryist will play some small part in preserving a record of those times in history when men were free to act without State interference, and were self-confident enough to know that the State possesses no magical powers.” When Carl Watner wrote these words in 1998 after nearly 17 years of writing The Voluntaryist, he could not have known that libertarianism would explode as it has in recent years. Even so, The Essential Voluntaryist can play a significant role in helping today’s liberty lovers elaborate that ideal. Join Carl Watner for this celebration of his important work Friday, June 27th at 8pm EDT. Alex McHugh interviews Dr. Chris Koopman of the Mercatus Centre at GMU. Koopman will talk about his take on the introduction to liberty: spontaneous order, rule of law, and limited government. Koopman is one of three featured instructors in SFL’s upcoming Liberty 101 online course. In Liberty 101, students can learn about the principles of a free society from a libertarian perspective.